There are holes where a miss to either side is playable and all you have to do is put your normal swing on the ball. Wherever it goes is all right with you. There are times, though, when there is one side of the course to where the ball just cannot go to. 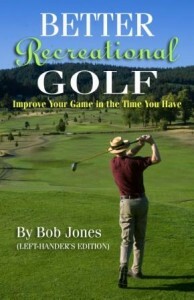 For example, I play a course on which the 2nd tee is hard against the right side, which is also out of bounds. You just have to get the ball to the left side of the fairway, and hitting the ball with even the smallest fade is disastrous. Fortunately, taking one side out of the shot with certainty is easy to do. When the clubhead approaches impact, it is open to the target line, but closing. It is square at impact (hopefully), and continues closing after impact. That is what we will work with to solve both problems. When the ball can’t go right, we have to make sure that the clubface does not get left open when it hits the ball. The way to do that is to be turning your right palm down as you hit the ball. This accelerates the closing of the clubface, which puts a draw spin on the ball. You might get a hook, but the ball will not go right. Be careful, because turning your right hand down too much, too soon, will smother the shot. If you have to keep the ball away from the left side of the fairway, you’ll do the opposite thing with your right palm. 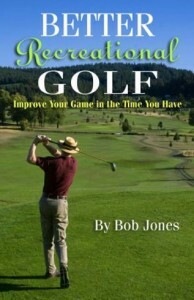 Delay its turning downward as you bring the clubhead through the ball. That delays the closing of the clubface, which puts a fade spin on the ball. As before, you might get more sidespin than you want, but the ball will not go left. I would caution you to save these techniques for times when they are absolutely necessary, when there is trouble on one side and playability on the other. They should not be used as the favored way to curve the ball, because it’s hard to be precise with these techniques without a lot of practice. All they’re meant to do is guarantee that the ball will not go in one direction or the other. Work out these two moves at the range so you have them under control and get manageable sidespin. 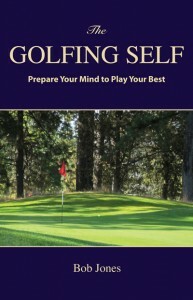 The guarantee is void if you try one for the first time on the course when you’re under the gun.